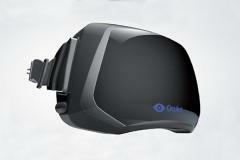 Is Virtual Reality the Next Big Thing in Gaming? Virtual Reality seems like a remnant from the 1990s—a nifty sounding technology that failed to live up to its potential, hamstrung by bulky headsets and overly high expectations. But the team at the start-up Oculus thinks there’s still a lot of potential in the idea—and it has managed to bring several of the video game industry’s top developers onboard.